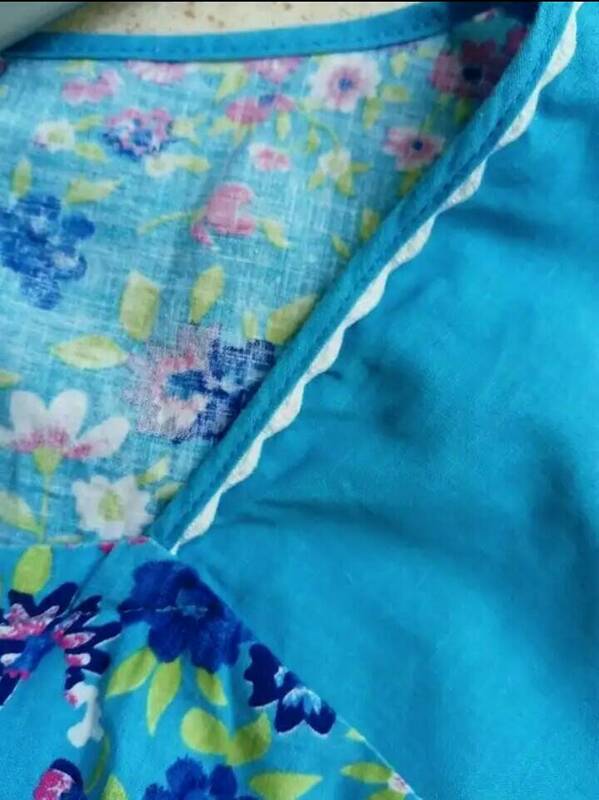 style hippy, 60s/70s style, made in the 80's, 2 cute pockets on the sides. 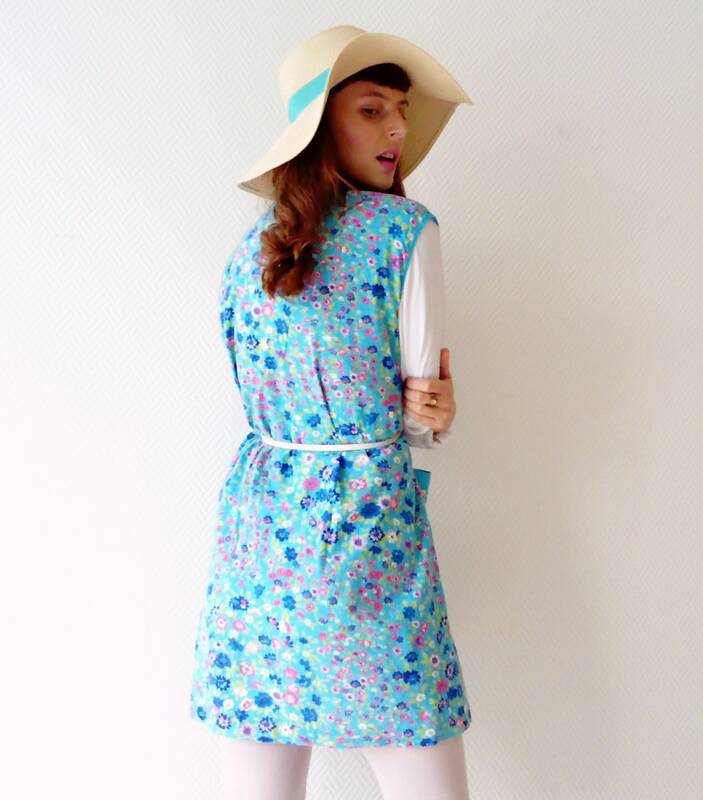 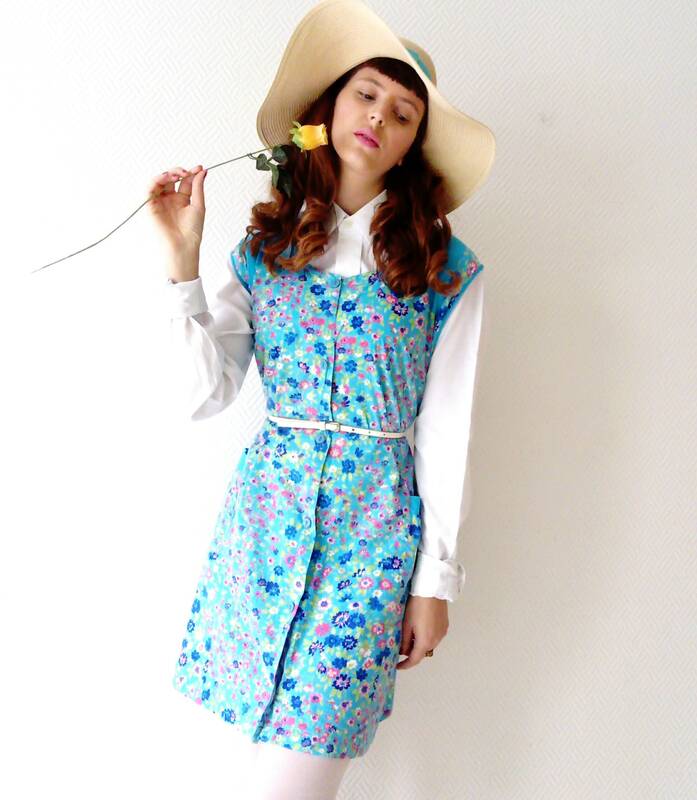 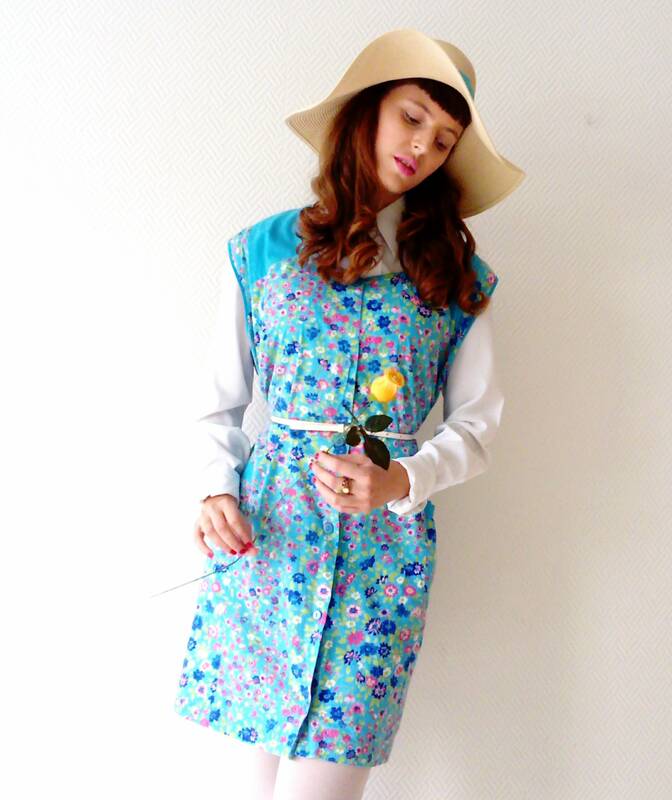 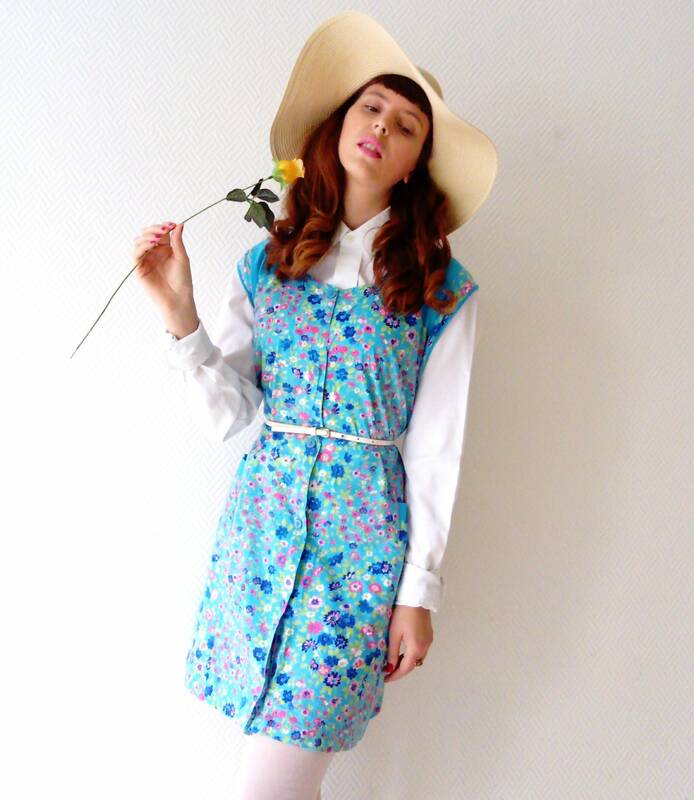 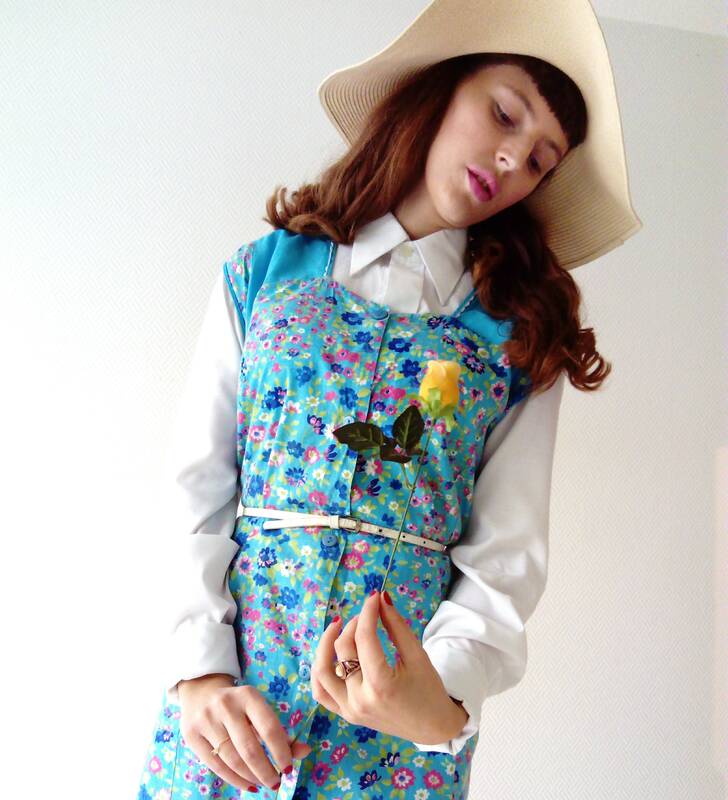 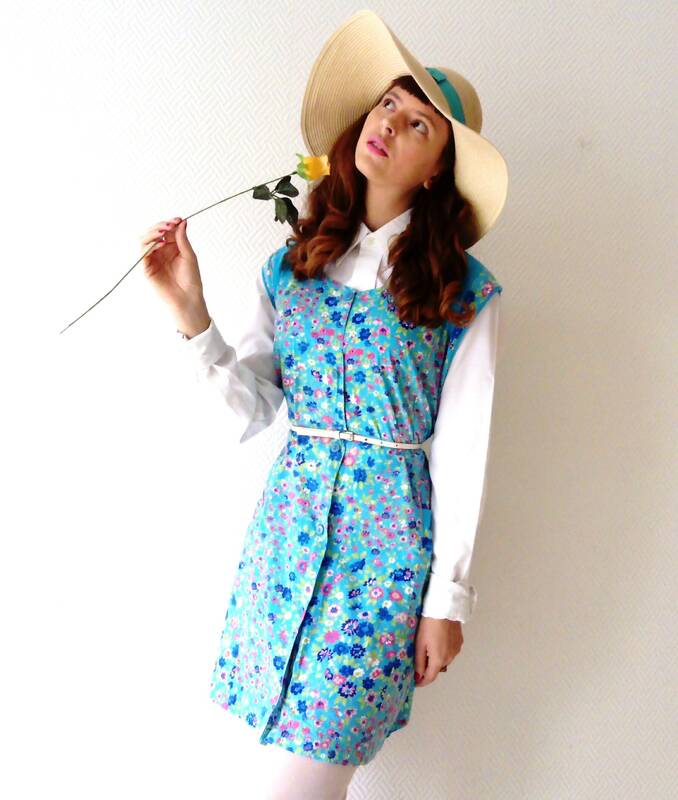 Lovely vintage pinafore dress, 60's / 70's style hippy flower people style, pink and blue flowers print. 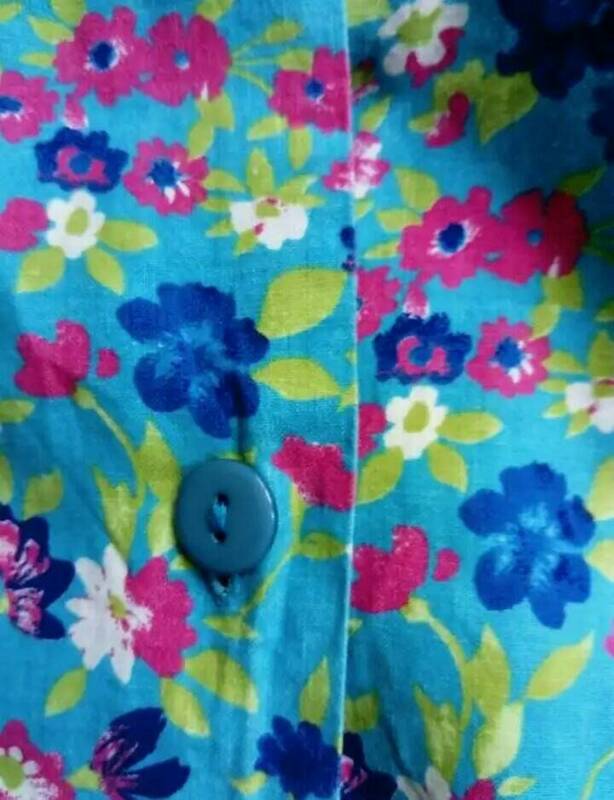 MAde in 80's, 2 cute pockets on sides, mint condition.